Introducing Lisa Goldberg – Joining the Lavender Health Blogging Team! We are delighted to have Lisa Goldberg to our team of bloggers for LavenderHealth.org! Lisa is an Associate Professor and Caritas Coach in the School of Nursing, Dalhousie University, Halifax, NS. 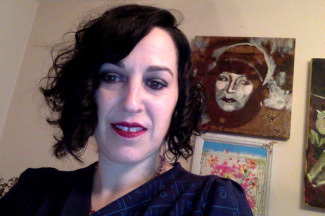 Her educational and research scholarship builds on her clinical expertise as a perinatal nurse and uses innovative feminist and queer phenomenological methodologies to examine the taken-for-granted and relational practices of nurses, primary care providers, and women in contexts of birth (and beyond) against the institutional landscape of gender, power, and heteronormativity. More recently, having completed the Caritas Coach Education Program through the Watson Caring Science Institute (WCSI), her scholarship has integrated new strategies for more deeply understanding LGBTQ health in relation to its systemic invisibility within curricula and nursing education more broadly. To see more of Dr. Goldberg’s scholarship, visit the following link to her home page at Dalhousie University: (http://www.dal.ca/faculty/healthprofessions/nursing/faculty-staff/faculty/lisa-goldberg.html) or her most recent research with colleagues related to queer birthing practices in rural Nova Scotia: (http://lgbtqbirthing.weebly.com). Welcome, Lisa! We look forward to hearing more from you in the weeks ahead! This entry was posted in Blog Information, People. Bookmark the permalink.